Located in the heart of Leederville, Leederville Gardens gives you access to a tremendous array of attractions and conveniences, it offers stunning, tranquil surrounds of the adjacent Reserve and Lake Monger with the vibrancy of the beautiful suburb of Leederville, which is centrally located to Perth CBD. Leederville Gardens is a uniquely located, peaceful and private village for those over 55 years of age that offers a carefree lifestyle at an affordable price. Jasmine design, Villa 63 has been immaculately refurbished with modern kitchen including stone bench tops, single draw fisher & paykel dishwasher set in lacquer finish under bench and overhead cupboards, up to date appliances with the chef of the home in mind and there is plenty of storage in this kitchen. A large corner balcony overlooking Britannia Reserve is the perfect place to enjoy sunsets and BBQ’s with full length cafe blinds even the weather can’t stop you from enjoying this great size balcony. 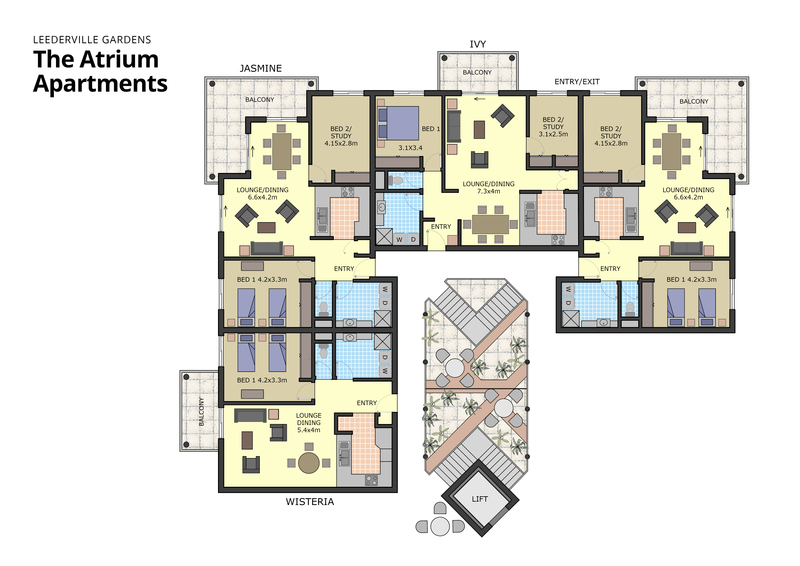 It offers 2 bedrooms, open plan living area and a spacious redesigned bathroom. A storeroom, security, ducted air-conditioning, lift access, car park for your vehicle, beautiful garden grounds are other features of this contemporary villa. Home Open is held weekly or by private appointment; please contact us on 9242 5602 or email [email protected] to view this stunning villa. We encourage you to give us a call and, with your family, make a time to visit us.